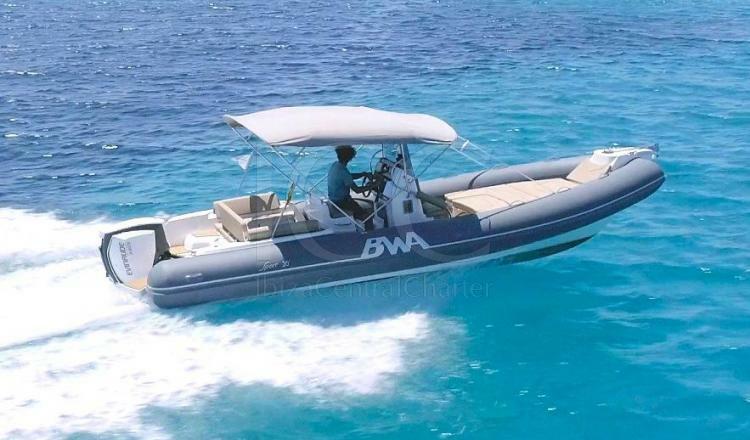 Undoubtedly the BWA 26 SPORT is a great choice to navigate the coasts of Ibiza and Formentera and enjoy a great vacation with your friends or family. 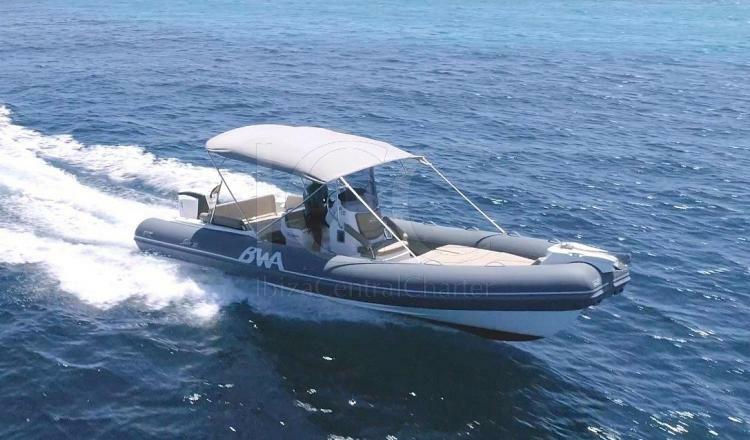 The BWA 26 Sport GT is a speed boat that combines deck space with an elegant design. 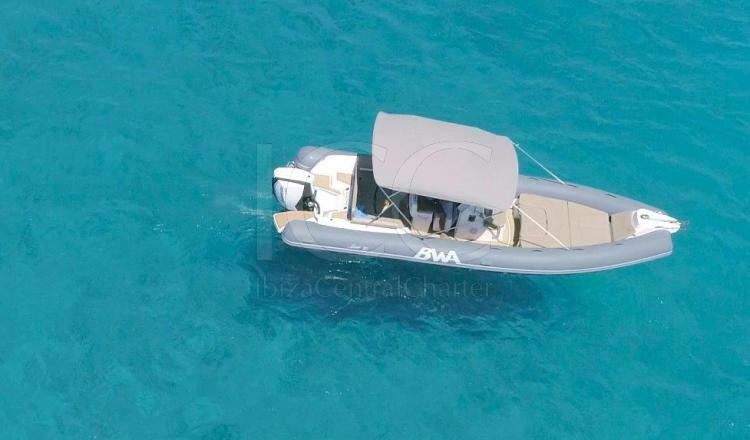 With its 8 meters of length it provides enough space for groups of friends and / or family of up to 12 people. 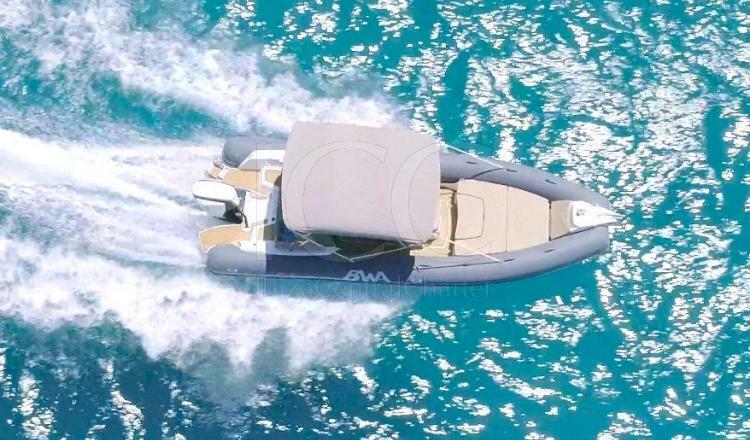 Its large bathtub allows you to spend a day of charter comfortably. 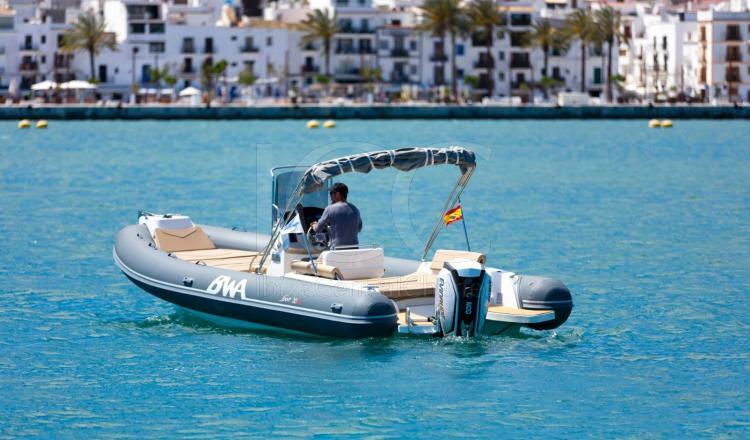 In the bow a large solarium is located to relax while tanning the skin or enjoying the turquoise waters of the islands of Ibiza and Formentera. 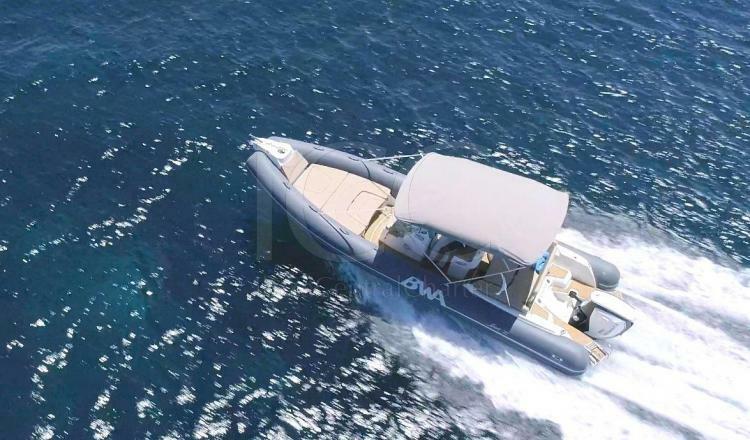 On the other hand, aft includes two bathing platform with teak floor that gives access to the sea and a practical and comfortable padded armchair complemented by a pregatable table to have lunch or enjoy a snack. 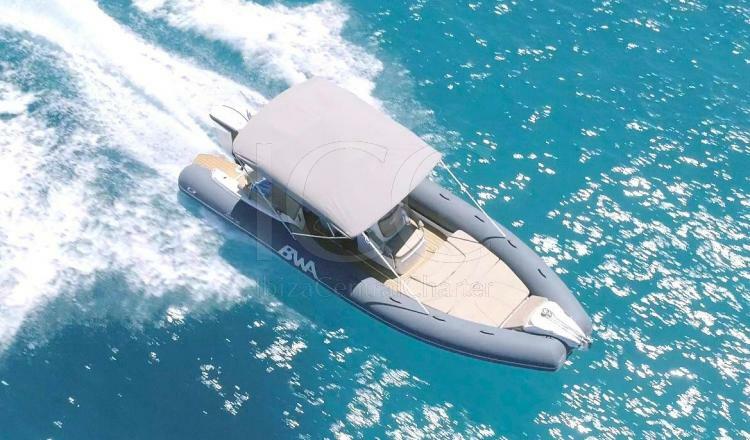 These armchairs become a magnificent solarium thanks to its folding backrest, which if you prefer, you can rest in the shade thanks to its bimini awning. 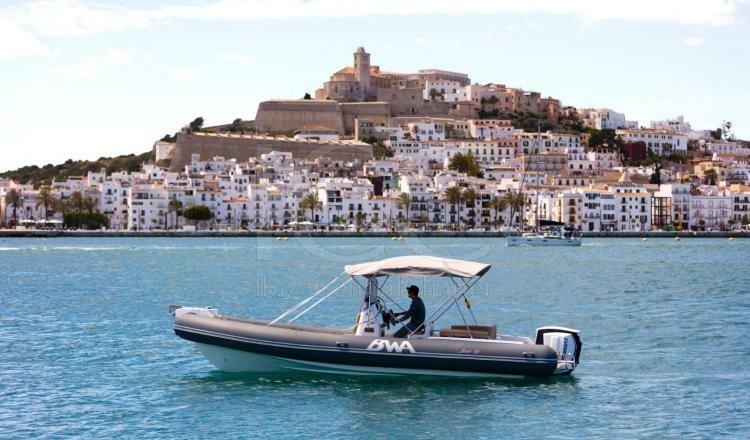 This boat will allow you access to those inaccessible spots to know and enjoy the islands of Ibiza and Formentera from another perspective.